Kids side tables are versatile, functional, and practical. Whether used to display plants or other decorative items, as stools, as extra surface space, or even as decor themselves, these tables will always be useful in your little one’s room. How can you get full use from kids side tables, you may be wondering? 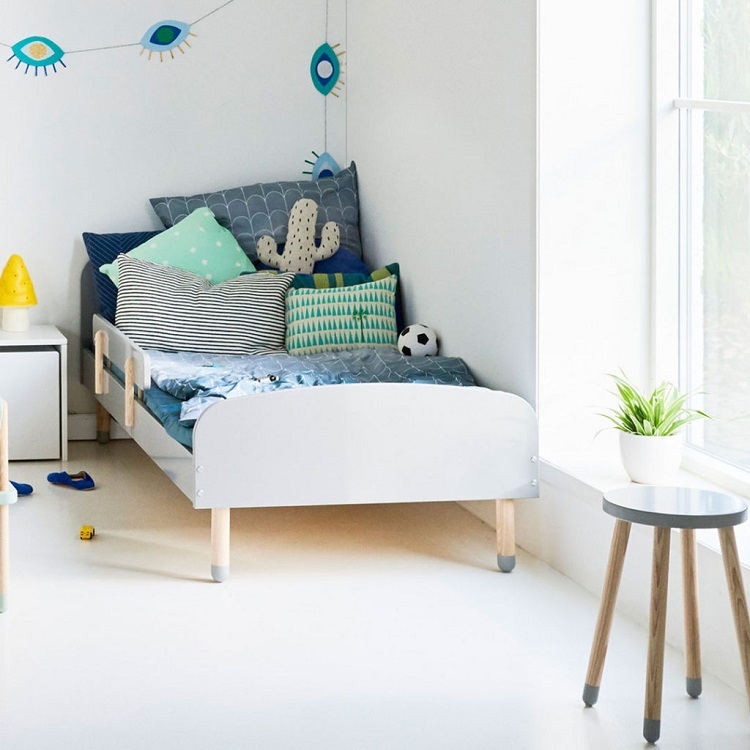 To give you an idea of just how easy these tables are to use, in a child’s room or any other room within your home, we’re sharing a few of the ways that we love using side tables. Mix and match with tables and chairs for on-the-spot tea parties. Whether planning a special celebration for your favourite small person or encouraging pretend play, tea parties are always rewarding. Make believe tea parties are especially good for kids, as they help children learn the art of taking turns, sharing, interacting, and social play. In order to plan an on-the-spot tea party, you need to create the perfect setting. 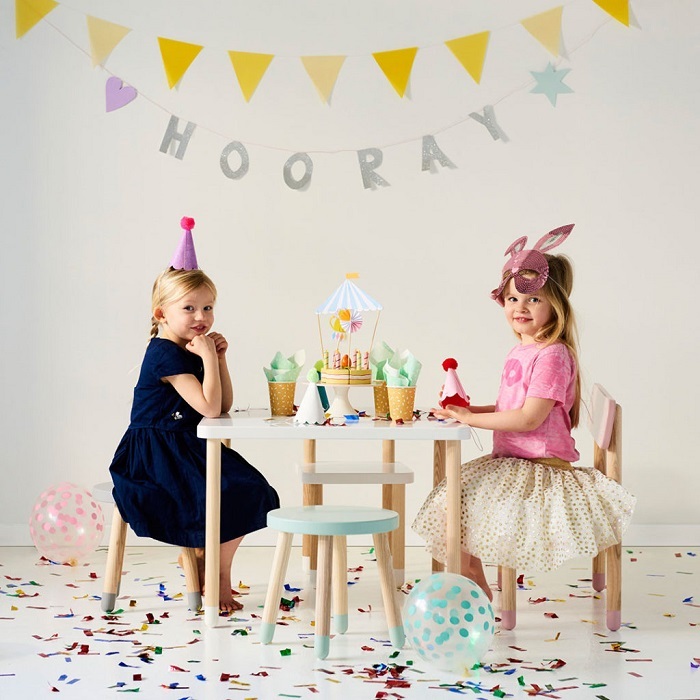 Adorable pastel toned side tables can be mixed and matched with tables, chairs and stools, creating a mini dining area that is sure to be fit for even the fussiest of princesses and superheroes. Tables of various heights and sizes are also practical, providing plenty of storage for teapots, cups, and treats, whether real or imagined. Add more surface space to a homework nook. As every parent knows, keeping desks free of clutter is no small feat. Side tables are a great way to add more surface space to homework areas. For tweens and teens, colourful tables like the modern Play Side Table can also have decorative benefits, adding a touch of colour to the room. These useful tables can even double up as stools when friends are visiting. Look for lightweight tables that can be moved easily, while still being stable enough to showcase plants and other items. Maximise space in busy bedrooms. These versatile tables are also ideal for bedrooms, offering extra surface space, seating, and display for plants, books, toys, and other items. They can serve as bedside tables, provide a handy spot for blankets or cushions that are not in use, or even brighten up a room by adding a splash of colour. Here at Clever Little Monkey, we aim to bring you kids furniture that is beautiful and versatile enough to be enjoyed by adults as well as kids. Browse our range of gorgeous kids side tables to see what we currently have on offer.